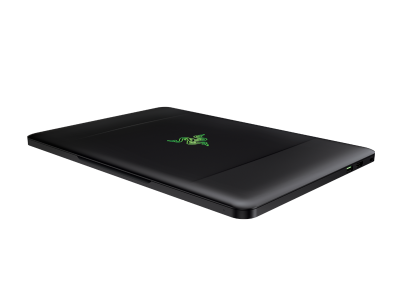 Razer has just announced their latest hardware – the awesome Razer Blade! And it’s the World’s Thinnest Gaming Notebook. 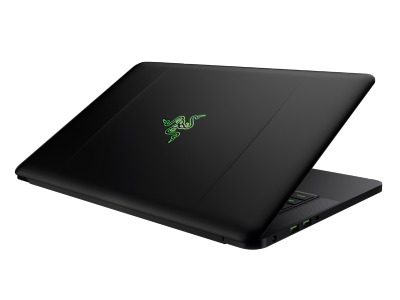 And its 17” older brother – The Razer Blade Pro. How thin is it, you ask? It’s thinner than the thickest part of the MacBook Air – The MacBook Air decreases in height as it comes towards the base of the keyboard. And that’s actually pretty thin! 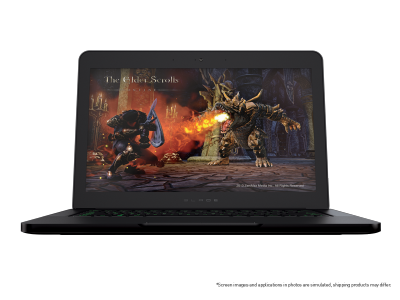 The Razer Blade is equipped with a 14” LED-backlit-HD+ display and a native resolution of 1600×900. Even though it’s not a 1080p screen, I’m really glad they didn’t opt for the 768p display either. But surely, it can’t be that powerful if it’s so thin, right? Wrong. it comes with an Intel i7 Haswell processor and a high-end mobility graphics processor – the nVidia GeForce GTX 765M. This beast of a laptop also sports an 8GB DDR3L RAM clocked at 1600MHz. The Blade also comes with 128GB SSD, upgradable to 256GB or to 512GB. The battery life is said to have up to six hours though we’re not certain if that’s gaming battery life or regular use battery life. Still six hours is very impressive for a laptop with this much power. 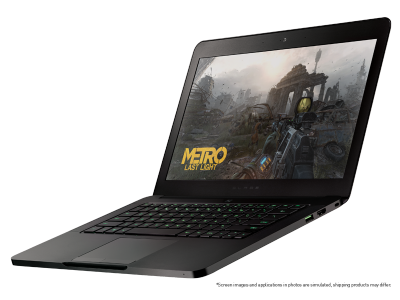 The 17” Blade Pro is mostly similar in its hardware specifications but it makes use of the extra legroom for an LCD-equipped trackpad – Razer’s Switchblade user interface. Pre-orders available from June 3rd in US and Canada for the Blade, starting at $1799, and the Blade Pro at $2,299.